When you have put the time, effort and money, in a Harley-Davidson Motorcycle- you want to invest in making sure it stays in great working condition. 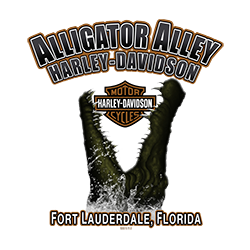 At Alligator Alley Harley-Davidson you'll find enthusiastic, experienced technicians who go beyond fixing your motorcycle, but creating a relationship with the customer. Please call our service department at (954)414-4135 to schedule your service work. Call our service department at (954)414-4135.